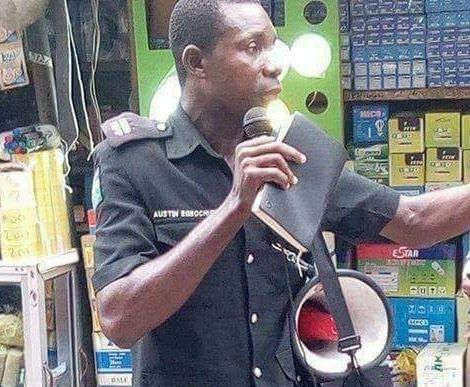 According to those who saw him, this police officer, an Inspector, was spotted sharing the good news of the Gospel in his official uniform around Alaba Int'l market, Lagos. Well done! AWWW! 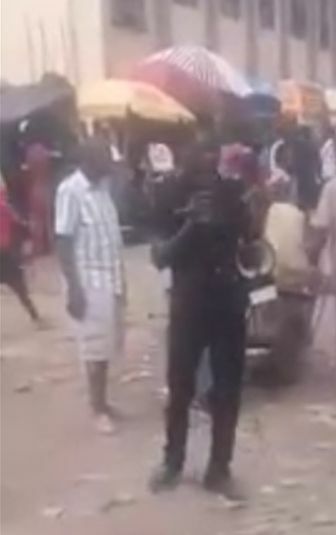 Read How 2 Nigerians, Sede Alonge & Remi Adekoya Found Love In The Comment Section Of UK Guardian.